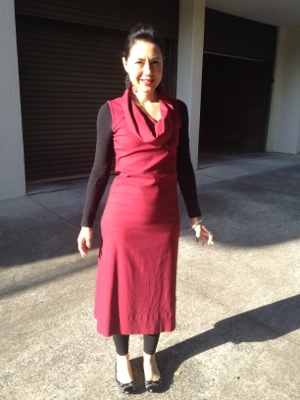 No hand-me-downs and nothing really old today … Well not older than my dress purchased at Dogstar in 2006 while I was home from Hong Kong for holidays and they had a massive warehouse clearance and I shopped like there was no tomorrow! It was after that that I realised I could go 2 weeks wearing Dogstar and not repeat an outfit! I just love this raspberry colour. Is 6 years old for clothes? Lots of people tell me it is. Posted in Dogstar, fashion, work and tagged winter. Bookmark the permalink.